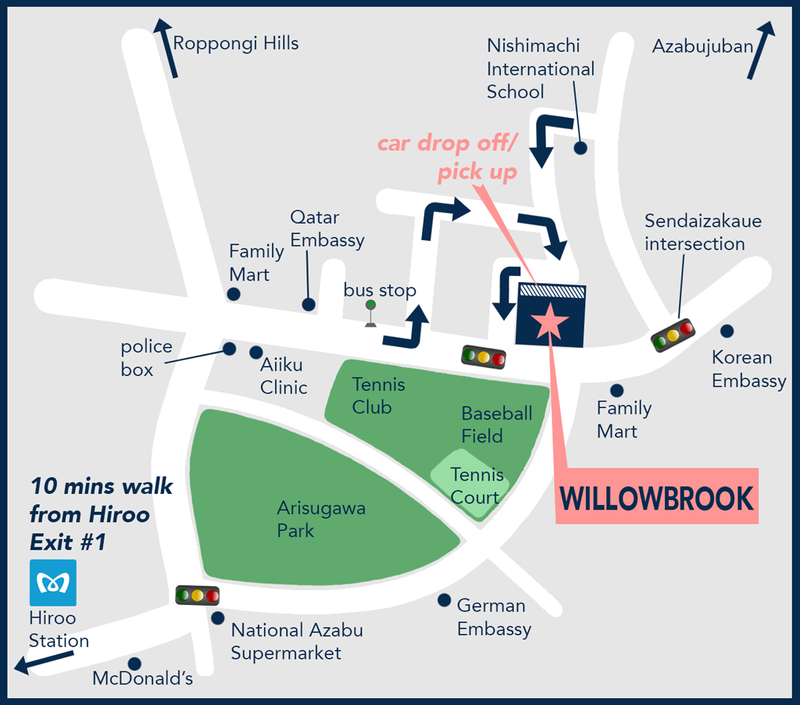 Willowbrook International School is located in Moto Azabu, in the heart of Tokyo, Japan. The nearest subway stations are Hiroo on the Hibiya Line and Azabu-juban on the Oedo line and Namboku line. It is a 10-minute walk from those stations to the school. We are across from the baseball field in Arisugawa Park.